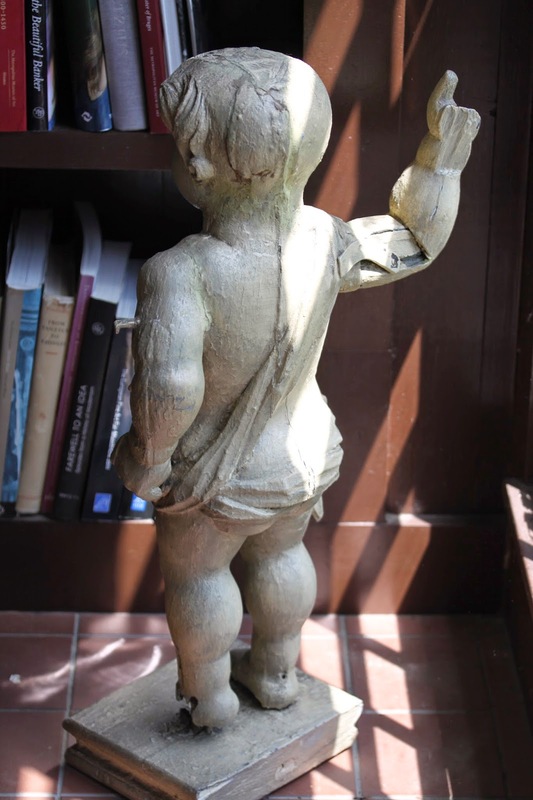 Late last year a colleague, Sandra Rux, the curator of the Portsmouth New Hampshire Historical Society showed me a pair of three foot high carved wooden putti that had been in the collection for many years. Sandra asked my opinion. At first glance they appeared to be from the earliest part of the eighteenth-century and I still believe they are. As to their purpose, they were painted and appear to have been used outside. 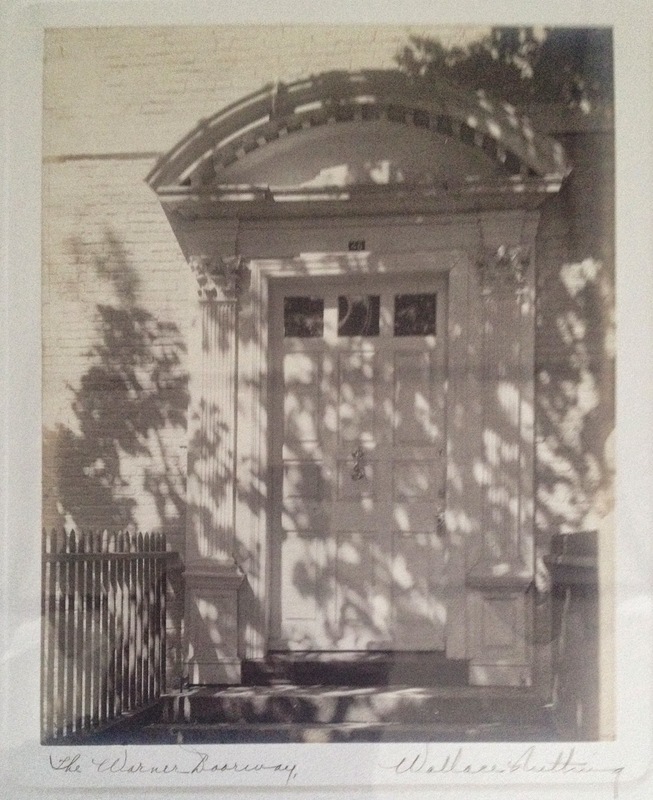 A nineteenth-century photograph of the Cutt’s House in Portsmouth, NH confirmed that they had at some point been used as decorative elements over an eighteenth-century doorway. 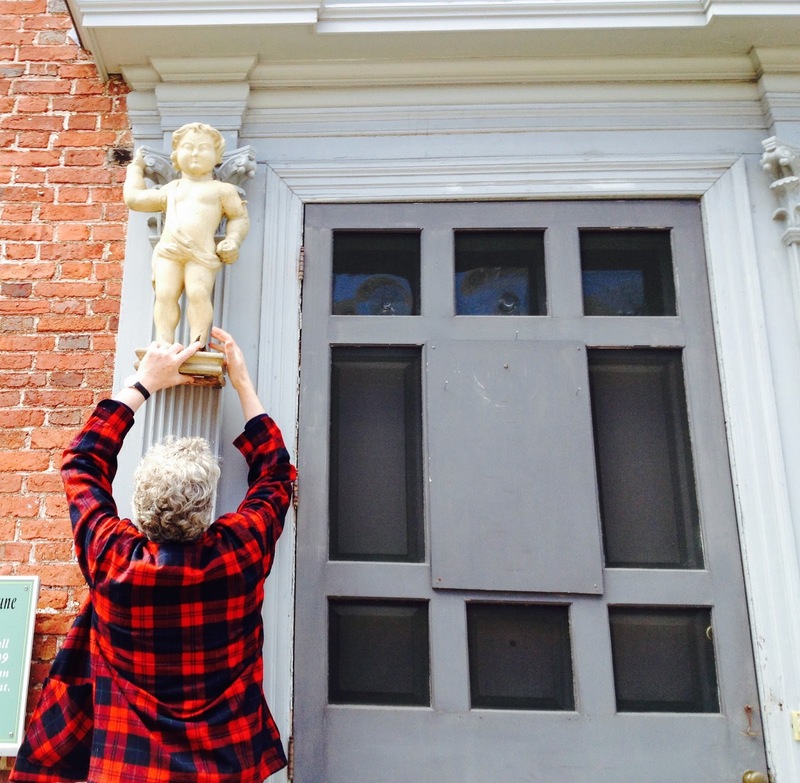 Based on family history, this decorative addition may have been done as early as1760, but the putti looked older. The first thought that came to mind was that they were garden ornaments. 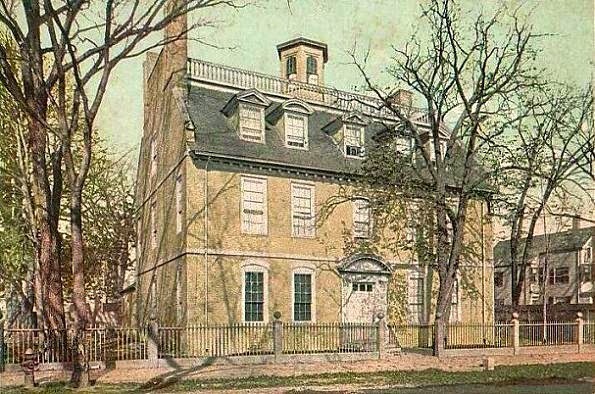 This was based on the supposition that the original owner was Archibald Macpheadris, who built the largest house in Portsmouth in 1716 and maintained a menagerie across the street complete with a lioness, the earliest recorded in this British America, someone with a bit of imagination. Also the construction records of 1716 indicated exterior carvings, none of which seem to have survived. Further research began to point in another direction and that is where this now going. In 1716 John Drew charged Archibald MacPhaedris for crafting ‘ornaments’ for the front door, the cupola and the ‘lutherans’ or dormers of his new house. What did Drew mean and MacPheadris understand by the term ‘ornament’? The current front door surround looks like a perfectly good neo-Palladian example of the mid eighteenth-century. If the current door surround is a later remodel, what might have been there originally? There has been speculation that the present front doorway was a later eighteenth-century ‘improvements’ obliterating a 1716 style doorway. The scale of embellishment is difficult to ascertain. There are indications in the brickwork that a flat hood once stood where the current half-round entablature sits. The robust carvings and projecting baroque hooded doorway of 1716 may have been tellingly outdated by 1760, but without a surviving example it is difficult to imagine. Then again perhaps something did survive. In the same blog posting, Dr. Quiney reasoned that while Lucas left no prior examples of his work (as of 1979), based upon his existing buildings he must have had training in London rather than the provinces. His style is akin to that of the City, Holborn and Westminster, not that of the pervading style found in Deptford. Additionally, he employed the restrictive building measures required in the City after 1707, but not in Deptford. If that is the case then his colleague Drew may have formed some of his design aesthetic from the larger metropolis through Lucas’s design sensibilities. 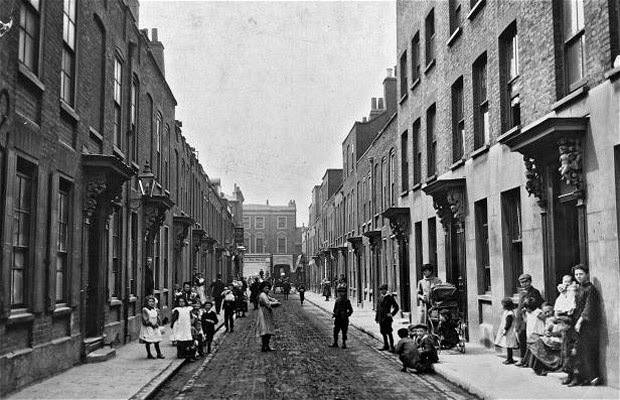 Albury Street declined and survived as a backwater street; by the 1920s photographers captured the streetscape with its antiquated doorways, some of which are held in the English Heritage archives. (British-History online) During the urban renewal of the 1960s Albury Street suffered the fate of similar neighborhoods throughout London. Eighteenth-century houses were deemed uninhabitable and demolished, leaving a broken streetscape. Luckily the entire street was not deemed substandard and a number of houses stand intact retaining their 1710s carved baroque door surrounds. For the Warner House the closest link with the baroque carving on Albury Street may be the putto head over the ‘beaufort’ in the front drawing room. This head is similar to examples carved into some of the projecting hood supports that protect the front doors of Albury Street. 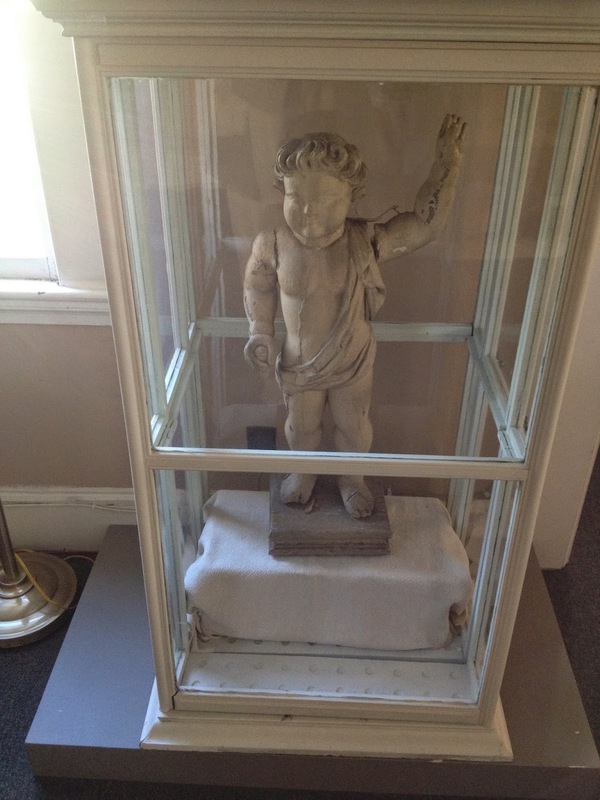 However another link or pair of links to this carved past may be two putti that have been in the collection of the Portsmouth Historical Society since the 1940s. These putti are standing figures approximately three By placing the flat side of the platform against a wall each putto stands free of the wall, indicating that the backsides were to be seen, at least, to some degree. Each putto has one uplifted arm with an open grasping hand and this arm is the opposite arm for each, so they are mirror images of each other. 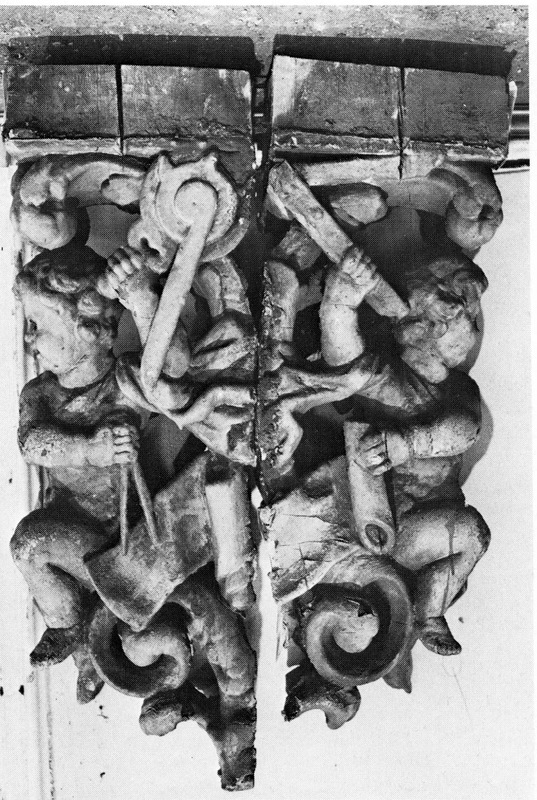 The opposing arm of each is carved in an angle and down the side. 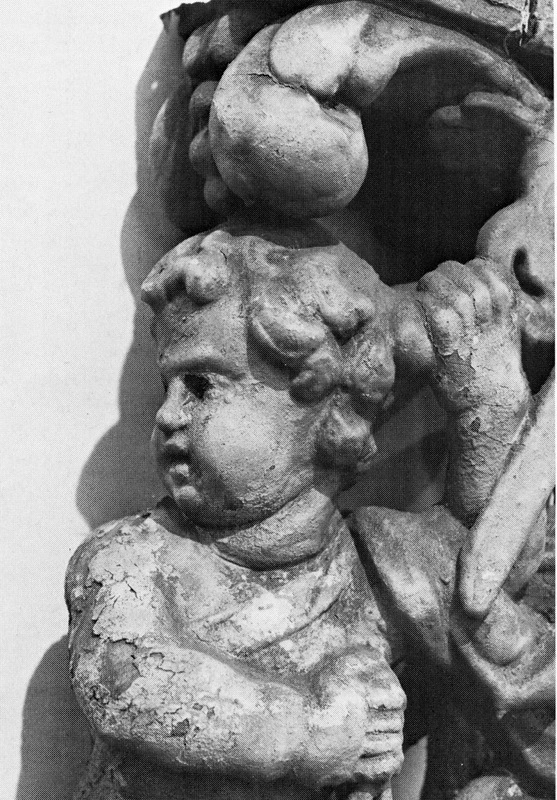 The hands of both putto are carved holding a round object. Additionally, a carved sash sits over the upright arm, then falls to the hip and clenched fist and then returns across the back to the upright shoulder. feet tall, carved in wood and painted white. There has been some loss to the figures, but they are essentially intact. Each putto is mounted on a flat architectural platform with a simple band-cove-band profile on three sides and is solid, i.e. with no carving, on the side that corresponds to the back of the putto. Each putto is carved in the round. While they are remnants, the putti are not without some voice. Each putto clutches a sphere or sphere-like object, which may be a pearl, a device used in the seventeenth and early part of the eighteenth-century to symbolize America. The pearl also symbolized wealth and familial prosperity, a propitious nod to the recently wed couple and their new house. The symbolisms imbedded in these carvings may have formed part of a larger allegory, now lost. The examples that exist on Albury Street are more fully realized decorative carvings replete with allegoric and symbolic elements. The existing example of putti on Albury Street with its nautical and marine devices may have directly indicated the owner’s maritime connections to visitors and passers-by and at the same time alluded to contemporary allegorical associations. Based on the British examples, it would seem likely that if the putti once formed part of the door surround of the Warner House, then other decorative elements that might have completed the ‘story’ have been lost. Without supporting documentation of the years between 1729, when Archibald Macpheadris died, and 1760, when Jonathan Warner took possession of the house through his marriage to Macpheadris’s daughter, Mary, this may always be a game of shadows. However, on the surface there appears to be a stronger stylistic link between the houses of Deptford, London and Portsmouth than just the architectural style and the builder. The possibility of a carved baroque architectural relic of the British Atlantic world is intriguing. 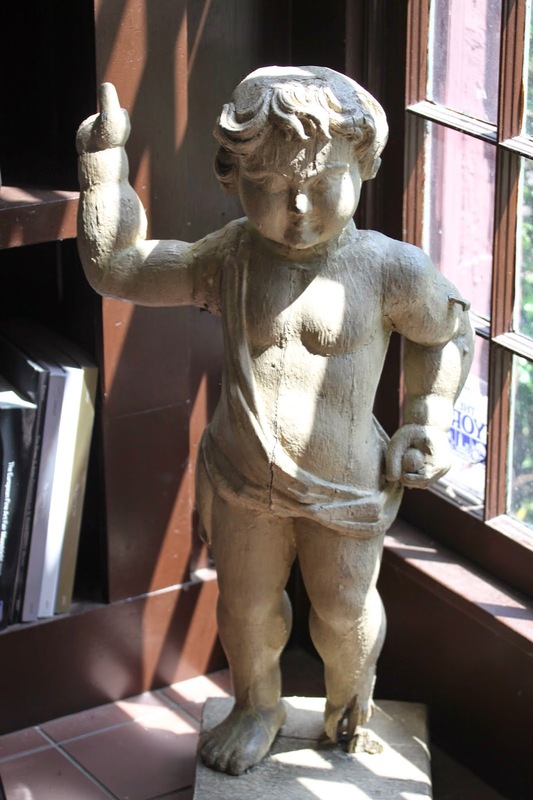 The house does contain another carved remnant of the London baroque; a cherub head serves as the molding keystone of the arched beaufort (buffet) located in the front parlor, or as noted in Drew’s bill, the dining room. The importance of the carvings may not be just their age, but also the importance a newly wed couple unwittingly attached to the modernity of their new home at the end just as the English Baroque world dimmed. the British Atlantic? Recent speculation is that Jonathan Warner may have moved them to the Cutt’s House when he obtained the house in the 1760s. Did the original door surround or did parts of it migrate to the Cutt’s House when improvements to the Warner House in the middle of the 18th century? My colleague, Sandra Rux, is pursuing that line of inquiry. Anthony Quiney, Archaeological Journal, Thomas Lucas, Bricklayer, 1662-1736, volume 136, 1979.